Our surgical programs are very reliant upon our counterpart relationships. 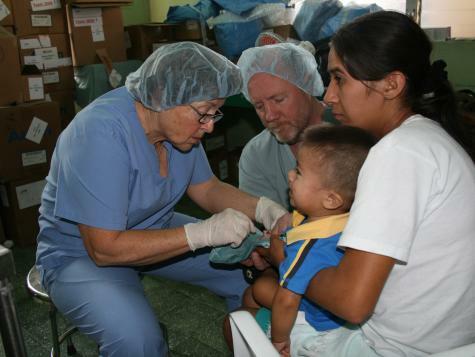 No USA medical professional is able to go to Honduras without an appropriate counterpart. This allows quality assurance of the patient and any necessary post op interventions. 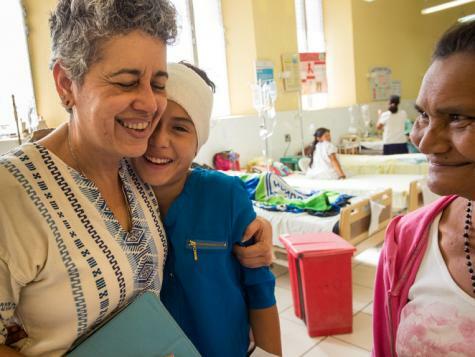 Starting in 1993 with just a poorly equipped eye clinic, the eye program is one of CAMO’s flagship ventures and demonstrates what can be achieved through the counterpart method. Dr. John Thomas dedicated 20 years of service to this development. In 2015 Dr. Kevin Waltz joined CAMO and has brought phacoemulsification and advanced technology to his counterpart, Dr. Marco Robles. 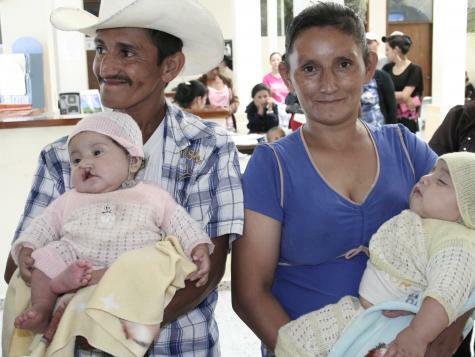 Together they are leading the advancements of eye surgery in Honduras. 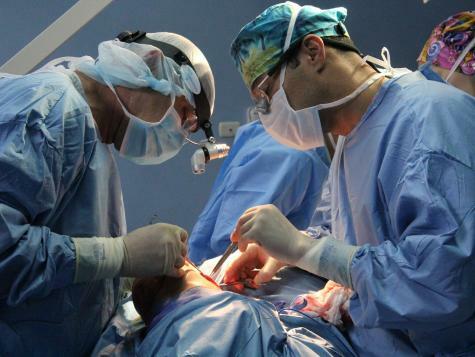 A new state-of-the-art eye surgery center in Honduras is being built by our counterparts. Soon this facility will be open we estimate the first year we will be able to provide over 1000 patients eye surgery. Sight-restoring procedures, now available to the rural poor population in Honduras, make it possible for entire families to prosper. 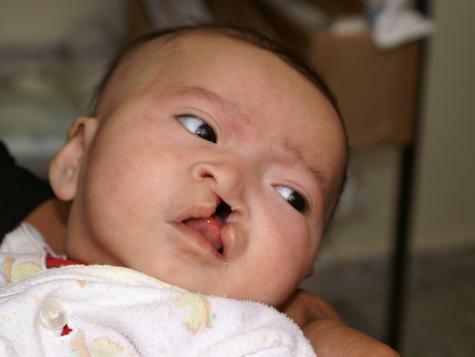 IMPACT: The surgical program provides care to improve vision for over 1,500 people each year. 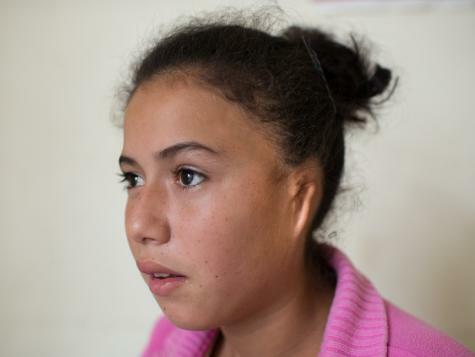 A neurosurgeon is responsible for the treatment of head and spine injuries and conditions, yet neurosurgery did not exist in Western Honduras prior to 2010. Anyone who suffered head or spine trauma or disease was left untreated. Head injury patients would die. Dr. Robert Alvarez found his counterpart in October 2012 with seasoned neurosurgeon Dr. JC Tabet. 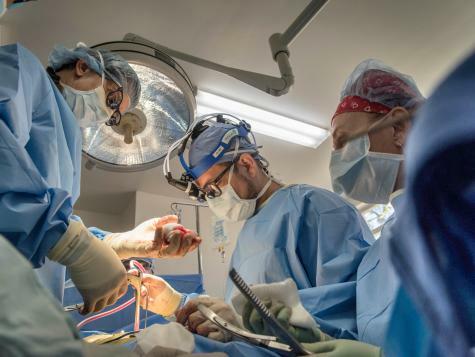 The neurosurgery program and the counterpart relationships between these doctors have impacted and saved hundreds of lives in Honduras. IMPACT: Stunts and early intervention after trauma prevent deaths. We impact 210 lives per year. 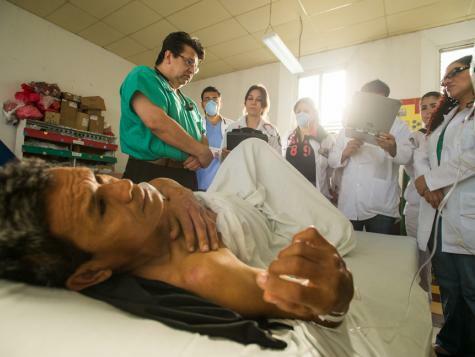 The high number of patient deaths in Honduras due to stomach cancer caught CAMO’s attention in 1995. CAMO volunteers saw at least 3 deaths per week due to gastric stomach cancers, which contradicted the nationally reported statistics of 23 deaths per year. A visit with the Ministry of Health confirmed that patients were not receiving pathology reports and therefore were not being documented. From that time forward, CAMO has provided funding for pathology biopsy reports. Based on these findings, an invitation was extended to Dr. Douglas Morgan to conduct gastric cancer research. 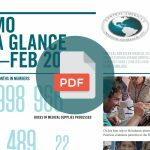 This research, published by the World Health Organization, reported that Honduras had the highest mortality rate of stomach cancer in the world. In 2008, CAMO provided funding and constructed a modern endoscopy department which now houses the Gastric Cancer Research Program being funded by Vanderbilt University. IMPACT: Accurate research and data allow CAMO to find solutions to the problem. CAMO also offers preventive education, teaching people to combat the leading triggers of stomach cancer by drinking clean water and taking in enough micronutrients. 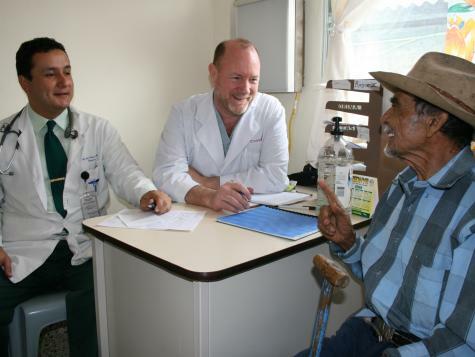 Early diagnosis and treatment continue to improve the success rate of patient recovery in Honduras. 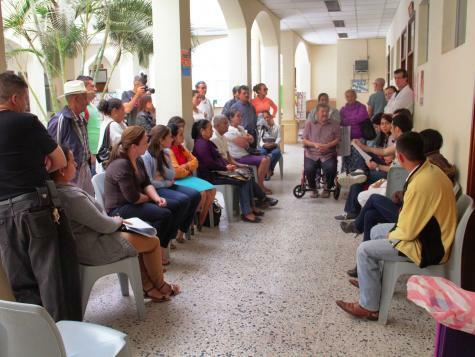 Prior to opening a urology program at the Santa Rosa de Copán hospital, patients endured 6-12 months of difficulty and pain during urination, resulting in serious bladder and kidney infections. In many cases, men died from renal shutdown or sepsis, and there was no intervention before the problem became a crisis. By the time the hospital could take them, it was too late. 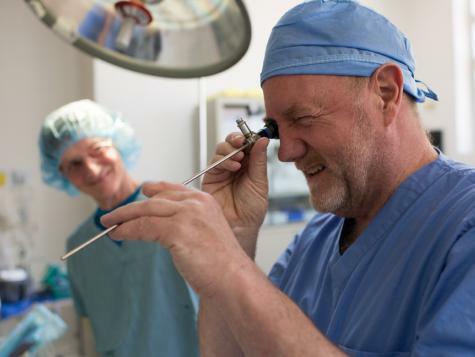 Today, CAMO uses a simple procedure called cystoscopy to treat men with enlarged prostates. 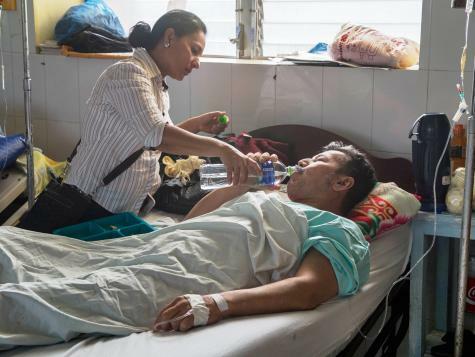 This has drastically reduced pain and suffering for men and has allowed them to return to work quickly so they can provide for their families. 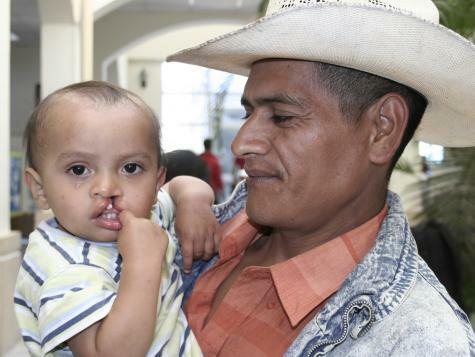 Since 1993, plastic surgery has been a part of CAMO’s surgical teams to Honduras. 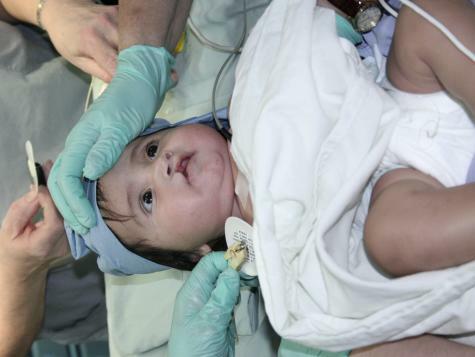 The Plastic Surgery Program is able to perform around 40 surgeries each year. 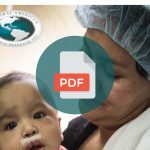 CAMO-Honduras also assists with Smiles International in the coordination of its surgical program in Santa Rosa de Copán as well. Many patients need further assistance after surgery. Part of what makes CAMO unique is its dedication to follow-through. CAMO’s network of support helps patients through each stage of recovery, including post-surgery. 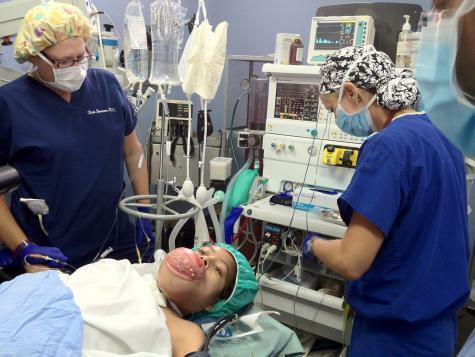 IMPACT: Carmen Sanchez survived the removal of a melon-sized tumor that had been protruding from her mouth for years. See how a CAMO team was part of her miracle. 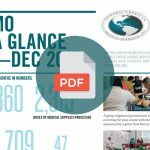 Central American Medical Outreach Inc.